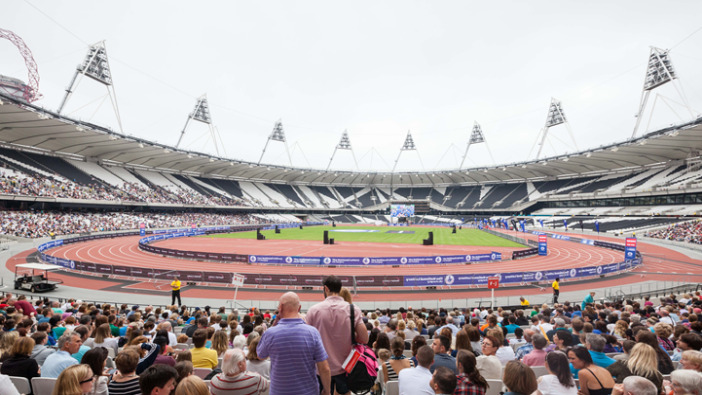 Sunday in Newham,very close to Olympic Park ,GreatRun will present first edition of Morrisons Great Newham Run with a elite team realy (i spoke about it below here), a Family Run , and LondonRun for more experienced athletes. It will be absolutely amazing and fantastic to close ur competition inside a legendary stadium as the Olympics one. At official site above here u can find all details to enter to the events still not closed...a great success in few years hoped by the organizers. From GreatRun site .. from AthleticsWeekly ... from CityAm ... 3 different pieces who will explain very clearly which will be the real meaning of this new excting event. EVENT GUIDE FOR ALL OF YOU interested to be in Newham to compete,to support ur friends and have fun in an amazing area such as Olympic Park. A fabolous team from Kenya will try for sure to go under 2h in marathon all together?? i am sure about it!! The prospect of a sub two hour marathon on English soil is beckoning, with a quartet of leading Kenyan road runners named in an international men’s team for the ground-breaking Morrisons Great Newham London Run 4 x ¼ Marathon Team Relay at Queen Elizabeth Olympic Park on Sunday 19 July. Mike Kigen, who pushed Britain’s Mo Farah to the wire in the 2014 Great North Run, 2015 Morrisons Great Manchester Run winner Stephen Sambu, 2014 Tokyo Marathon champion Dickson Chumba and 2015 world number two half marathon runner Cyprian Kotut have agreed to join forces to have a combined crack at the hallowed two hour barrier that has thus far eluded the world’s best individual marathon men. The world record for the classic 26.2 mile distance stands at 2 hours 2 minutes 57 seconds to Dennis Kimetto and the Kenyan’s compatriots look to have an excellent chance of not just bettering those figures but also breaking two hours when they each run a 10.54km leg of the 2012 Olympic Park in East London. The Kenyan Fab Four all boast sub 29 minute personal bests for 10km on the roads. Kigen, runner-up in the World Cup 5,000m race in 2006 and sixth in the World Cross Country Championships in the same year, has a 10km best of 27 minutes 25 seconds. In April this year the 29-year-old finished fourth in the Paris Marathon, clocking 2 hours 7 minutes 42 seconds. Sambu leads the 2015 world rankings for 10km on the roads with the 27 minutes 30 seconds he recorded in winning the Morrisons Great Manchester Run last month. The 26-year-old, who trains in Arizona with former world 1500m and 5,000m champion Bernard Lagat, also has a lifetime best of 27 minutes 25 seconds at the distance – a time he achieved in Boston last year. Chumba, 28, has a 10km PB of 28 minutes 47 seconds. He has a marathon best of 2 hours 4 minutes 32 seconds, which he clocked as the third placed finisher in Chicago last year. Kotut, 23, has run 28 minutes 17 seconds for 10km. He is the world’s second fastest half marathon man this year, courtesy of a 59 minutes 28 seconds clocking in the City-Pier-City race in the Netherlands. Kigen, Sambu, Chumba and Kotut will line up against a British men’s team featuring Scottish cross country champion Andy Butchart, who finished a battling third in the 3,000m at the European Team Championships Super League in Cheboksary, Russia, last weekend. Butchart will team up with fellow Scots Luke Caldwell and Callum Hawkins, who both ran for the host nation in the 10,000m at the Commonwealth Games in Glasgow last summer, plus English cross country champion Charlie Hulson of Sale Harriers Manchester. A strong British women’s quartet comprises European Under 23 cross country champion Rhona Auckland, Commonwealth Games 5,000m and 10,000m finalist Beth Potter, English cross country champion Lily Partridge and Stockport Harrier Jess Coulson, who finished fourth in the European Cup 10,000m track race earlier this month. The 4 x ¼ Marathon Team Relay is open to runners of all abilities. Each runner completes two laps of the course, running 10.54km, precisely a quarter marathon, and the prizes on offer in both the men’s and women’s sections are £2,000 for the winning team, £1,000 for the runners-up and £500 for the third placed team. Prize money is to be divided equally among each four runners with an additional £500 bonus to go to the winning club – or to a charity chosen by the winning team, if the runners are not all members of the same club.